Draft: 2012, New York Mets, 3rd rd. Married to Allison…has a son, Jaxon...Traded to D-Backs with RHP Miller Diaz for RHP Addison Reed (Aug. 29, 2015)...Is a 2009 graduate of Washington (Iowa) High School in Cherokee, Iowa…was the Student Council president, Class President and member of the National Honor Society as a senior...Played baseball, basketball, football and ran track…holds the school record in the high jump (6'2")...Was the winning pitcher in the 2007 state championship game. Went 5-5 with a 4.15 ERA in 19 games (14 starts) over 4 stints with the D-backs...Did not allow a run in 5 appearances as a reliever (9.2 IP) with a .171 opponent average and a 0.62 WHIP...Was the first pitcher with 18+ GIDP in fewer than 90.0 innings since Brad Ziegler/ARI in 2012 (21 in 68.2 IP) and first starter with 14+ GIDP in fewer than 80.0 innings since Sidney Ponson/STL-NYY in 2006 (14 GIDP in 79.2 IP)...Was the first D-back to match up against 3 different former Cy Young Award winning pitchers in 3 straight outings (Clayton Kershaw on May 1; Justin Verlander on May 6; Max Scherzer on May 11) [source: STATS LLC]...Was the first pitcher to face 2 different former MVPs (Kershaw, Verlander) in consecutive starts since White Sox's Ed Lopat on Sept. 23 vs. Detroit (Hal Newhouser) and Sept. 28, 1947 @ St. Louis (Dizzy Dean). Combined for 12 starts with Triple-A Reno and Short-Season A Hillsboro, going 3-2 with a 7.71 ERA...Made 1 appearance with the D-backs on Aug. 22 @ Mets (3 ER in 0.0 IP)...On the disabled list twice: right shoulder impingement (April 9-June 30) and blister (July 25-Aug. 5)...left his first start of the season on April 8 @ Fresno with right shoulder discomfort and did not pitch again until a rehab start with the Hops on June 20. Went 1-1 with 1 save and a 2.00 ERA (4 ER in 18.0 IP) in 7 games (2 starts) for the D-backs in his first Major League season...Recalled from Triple-A Reno on Sept. 6…made his Major League debut on Sept. 10 vs. Giants (0 ER in 1.0 IP) ...Recorded first save on Sept. 13 with 4.0 shutout innings…was the fourth player in team history to record a 4.0-inning save, and the first since Josh Collmenter on April 9, 2014 @ Giants... Earned his first win on Sept. 18 vs. Dodgers (0 ER in 1.0 IP)...His 5.0-hitless innings to begin his start on Sept. 27 were the most by a D-backs pitcher in his first Major League start [source:Elias Sports Bureau]...Combined to go 6-6 with a 4.08 ERA (55 ER in 121.1 IP) in 21 starts between Double-A Mobile and Reno...Pitched for Licey in the Dominican Winter League. Spent the majority of the season with Double-A Binghamton (Mets) before being traded to Arizona on Aug. 29 with RHP Miller Diaz for RHP Addison Reed…Was 4-8 with a 3.46 ERA (34 ER in 88.1 IP) in 35 games (8 starts) with Binghamton…made 1 start with Double-A Mobile, tossing 7.1 scoreless innings with 2 hits allowed…Entered the season ranked by Baseball America as the Mets' 24th-best prospect for the second consecutive season. September 1, 2018 Arizona Diamondbacks recalled RHP Matt Koch from Reno Aces. July 24, 2018 Arizona Diamondbacks optioned RHP Matt Koch to Reno Aces. July 12, 2018 Arizona Diamondbacks recalled Matt Koch from Reno Aces. July 8, 2018 Reno Aces placed RHP Matt Koch on the temporarily inactive list. June 20, 2018 Arizona Diamondbacks optioned RHP Matt Koch to Reno Aces. April 20, 2018 Arizona Diamondbacks recalled Matt Koch from Reno Aces. April 8, 2018 Arizona Diamondbacks optioned RHP Matt Koch to Reno Aces. April 3, 2018 Arizona Diamondbacks recalled Matt Koch from Reno Aces. March 22, 2018 Arizona Diamondbacks optioned RHP Matt Koch to Reno Aces. October 10, 2017 Matt Koch roster status changed by Arizona Diamondbacks. October 4, 2017 Arizona Diamondbacks reassigned RHP Matt Koch to the minor leagues. October 2, 2017 Arizona Diamondbacks recalled RHP Matt Koch from Reno Aces. August 24, 2017 Arizona Diamondbacks optioned RHP Matt Koch to Reno Aces. August 21, 2017 Arizona Diamondbacks recalled Matt Koch from Reno Aces. August 5, 2017 Reno Aces activated RHP Matt Koch from the 7-day disabled list. July 25, 2017 Reno Aces placed RHP Matt Koch on the 7-day disabled list. July 22, 2017 Arizona Diamondbacks optioned RHP Matt Koch to Reno Aces. July 20, 2017 Arizona Diamondbacks recalled Matt Koch from Reno Aces. June 30, 2017 RHP Matt Koch assigned to Reno Aces. 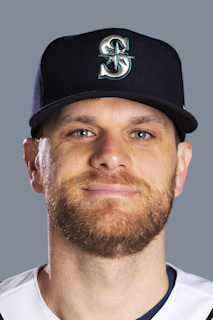 June 20, 2017 Reno Aces sent RHP Matt Koch on a rehab assignment to Hillsboro Hops. June 20, 2017 RHP Matt Koch assigned to Hillsboro Hops. April 9, 2017 Reno Aces placed RHP Matt Koch on the 7-day disabled list. March 20, 2017 Arizona Diamondbacks optioned RHP Matt Koch to Reno Aces. November 7, 2016 RHP Matt Koch assigned to Tigres del Licey. September 6, 2016 Arizona Diamondbacks recalled Matt Koch from Reno Aces. August 1, 2016 RHP Matt Koch assigned to Reno Aces from Mobile BayBears. June 13, 2016 Mobile BayBears activated RHP Matt Koch from the 7-day disabled list. May 30, 2016 Mobile BayBears placed RHP Matt Koch on the 7-day disabled list retroactive to May 28, 2016. May 21, 2016 Mobile BayBears activated RHP Matt Koch from the 7-day disabled list. April 22, 2016 Mobile BayBears placed RHP Matt Koch on the 7-day disabled list. March 14, 2016 Arizona Diamondbacks optioned RHP Matt Koch to Mobile BayBears. November 20, 2015 Arizona Diamondbacks selected the contract of Matt Koch from Mobile BayBears. August 30, 2015 Arizona Diamondbacks Traded RHP Addison Reed to New York Mets; St. Lucie Mets Traded Miller Diaz to Visalia Rawhide and Binghamton Mets Traded RHP Matt Koch to Mobile BayBears. September 1, 2014 RHP Matt Koch assigned to Binghamton Mets from St. Lucie Mets. April 3, 2014 RHP Matthew Koch assigned to St. Lucie Mets from Savannah Sand Gnats. September 24, 2013 Savannah Sand Gnats activated RHP Matthew Koch from the 7-day disabled list. April 3, 2013 RHP Matthew Koch assigned to Savannah Sand Gnats from Brooklyn Cyclones. June 16, 2012 Matthew Koch assigned to Brooklyn Cyclones. June 15, 2012 New York Mets signed RHP Matthew Koch.